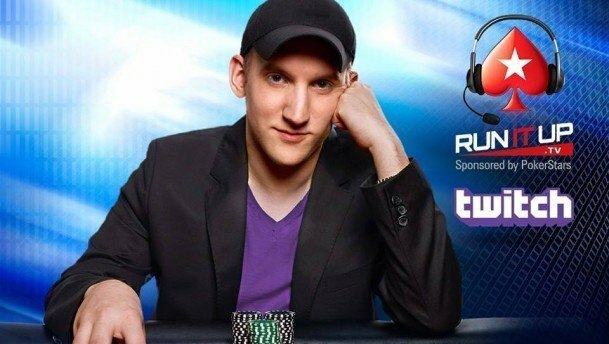 Jason Somerville was the first prominent professional poker player to embrace online streaming as a way to share poker with a broader audience. His web series Run It Up has become a worldwide success, garnering over 7.4 million views and more than 100,000 followers on Twitch. 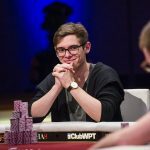 Somerville is also a member of Team PokerStars and has earned over $3.9 million in his live tournament career. I caught up to Somerville during a break in the $111,111 High Roller for One Drop, where he was doing final table commentary for WSOP.com, along with David Tuchman and Scott Seiver. There, I was able to talk to him about the World Series of Poker, Run It Up, and his work with PokerStars. CC: How is your World Series going so far? JS: It’s been going pretty well. I haven’t played a ton of events, because by the time my Twitch season was over in the end of May, I wasn’t burned out with poker, but I hadn’t really done anything besides play poker and stream for three months. So when I came here, I was excited to play the World Series, but I also knew I wasn’t going to play a crazy schedule. And I didn’t. I played about 10 or 12 events, and I’m happy with how I played in most of the events, especially in the big events. But I’m ready to go back to Twitch, honestly. It’s been a month now—I’m ready to get back to my dirty basement. CC: What are the plans for Run It Up in the fall? JS: I haven’t officially announced what I’m doing yet, but my plan is to start another season of streaming in August, make a couple of small changes to how I’m doing things, try to improve in some ways, and try to figure out a better way that I can do it sustainably, because I’d love nothing more than to stream every day (or close to it) for a long time. I have a couple things I’m working on that could make that a reality. I’m hoping to start that in the middle of August, and I’m working on some cool plans and announcements that will come soon. CC: Have you seen a lot of Run It Up legionnaires at the WSOP? JS: It’s amazing to walk around and see such a diversity of people representing Run It Up. We’re talking men, women, young, old, white, black: it is incredible the diversity of people that are representing Run It Up. We have guys making the Super Seniors final two tables, guys making the Casino Employees final two tables, and now the DraftKings 50/50 final table. It’s really incredible, and it’s something that I’m extremely touched by, that people are watching an Internet show and off of that, they’re so enthusiastic about it that they’re representing, wearing the clothing, and are part of the community. It’s awesome, it’s really something incredible. CC: You’ve been working with PokerStars in California. 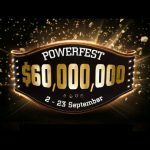 Do you have any details on the upcoming PokerStars Pro Tour in the state? JS: I don’t think they’ve officially formulated the exact locations of everything yet, but I’m excited to be a part of it. 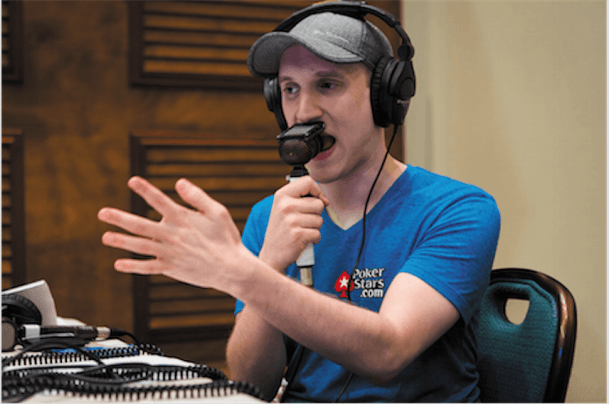 They’re doing events at the end of July and beginning of August, and I’ll be there along with Chris Moneymaker, Vanessa Selbst, and a couple other PokerStars pros, too. I would love to have online poker come to America. Anything I can do to fight that fight is something that I’m happy to be a part of, so that should be a really fun event. CC: How is your $25K Fantasy WSOP team doing? CC: What are your plans for the rest of the WSOP? JS: I think I’m only playing the Main Event, which is obviously a fun tournament. There have been years that I’ve gotten to the Main Event and been over it, and other years where I’ve gotten to the Main Event and been on a roll. I feel like I’m kind of in between right now. I don’t feel over playing live poker, but I also don’t feel like I’ve been playing amazingly well, outside of the High Roller, where I felt like I was playing my best. I’m excited for it, I think it’s going to be a fun event, and hopefully I’ll do well. CC: What are your overall impressions of the Series this year? It seems like there have been a lot of issues brought up this summer, even if they haven’t always been major ones. JS: It’s hard to tell the difference between the noise of complaints and the quality of complaints being made. We’ve heard a lot about the cards, about dealers not being paid correctly, and there being fewer dealers to start the summer than ever before, and the structures of the small events were a little weird. There have been some objections and criticisms that are warranted in many cases, but I don’t know if it is anything different than every year. 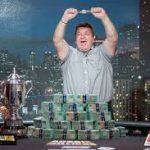 There’s always something you can criticize, and the undertaking of the World Series of Poker is incredible: there’s nothing like what they try to do here, running as many events simultaneously, with as many different people, trying to cater to the pros, the amateurs, and everyone in between. They have a hard job. Could it be improved? Certainly. Do they try to improve every year? I think they do. Do they always get that right? No. But you can’t look at things from every year. You have to think about where they’re going to be in five years, ten years, and this is still the premier tournament series of the year. 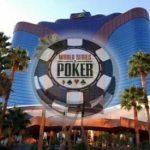 CC: Are you enjoying doing some live final table commentary for WSOP.com? JS: It’s funny, I feel much more comfortable doing commentary than I do even playing these days, because I feel so much more at home in that situation because I’ve been doing it so much for the last six months. I did 500 hours of streaming in the spring. Of course, I’m playing poker that whole time, but I still feel very comfortable in that situation now. Hopefully I’ll continue to find cool ways to create content, whether it’s on Run It Up or doing commentary—more of that would be great, too. CC: Final question: how many entries do you think the Main Event will get? JS: I’m going to predict 6,321.